Windows Phone 8 introduces NFC (near-field communication) support to the platform, allowing small packets of data to be shared by holding two supporting WP8 devices back to back. 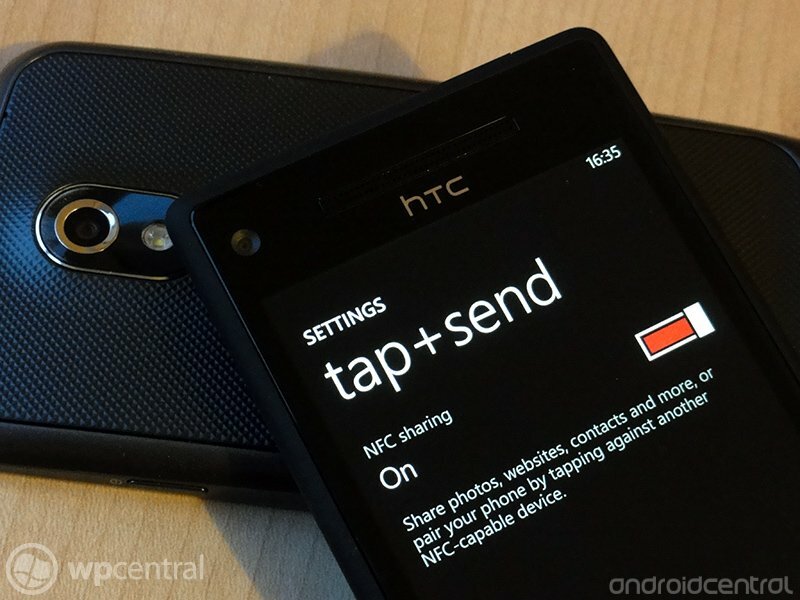 The new NFC-based "tap + send" feature enables Windows Phone 8 devices to share web URLs, contact data and more with another phone in close proximity. But because it's a multi-platform standard, many of these features work just fine between Windows Phone 8 and NFC-enabled Android phones, as you'll see in our demo video below. We tried bouncing web pages and contacts back and forth between a Samsung Galaxy Nexus and an HTC 8X, and were able to do so without a hint of trouble. Unfortunately, NFC file transfers remain off-limits for the time being, so if you want to share photos over NFC, it's strictly Windows-to-Windows or Android-to-Android. Check out our quick video demo below to learn more.